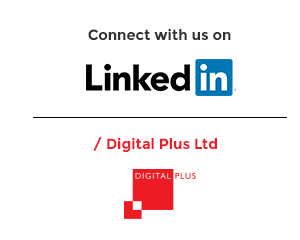 Bracken Business Centres is a longstanding client of Digital Plus. 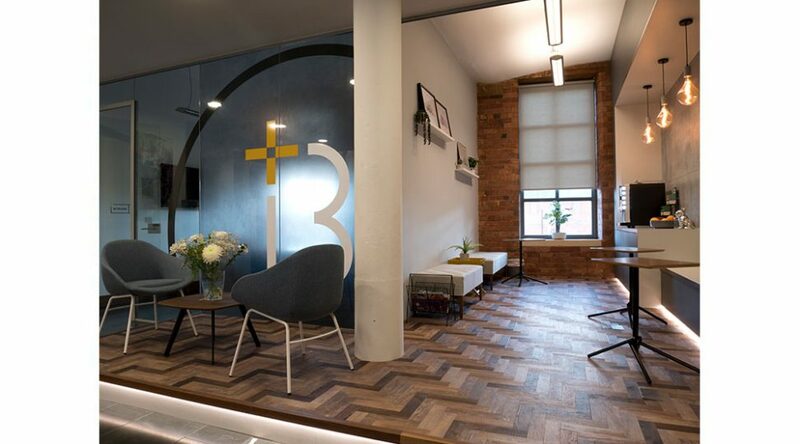 They manage serviced offices spaces across Leeds. 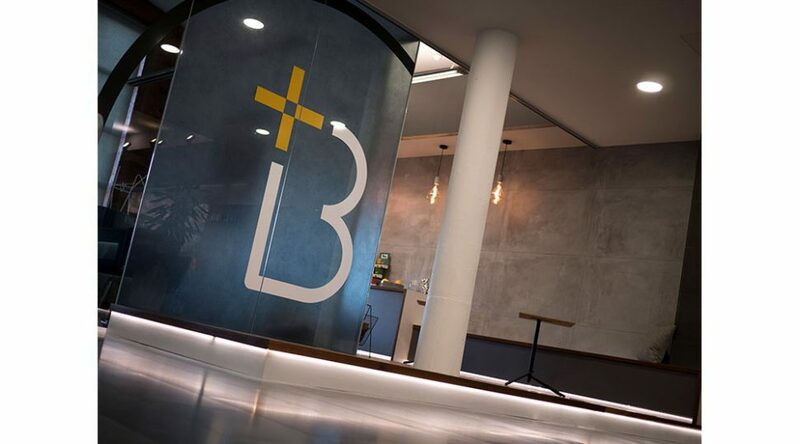 They recently approached us with a brief to update the entrance space and interior of their Calls Wharf premises following a rebrand. This is the first glimpse of the new re-brand, so we had to get it spot on. 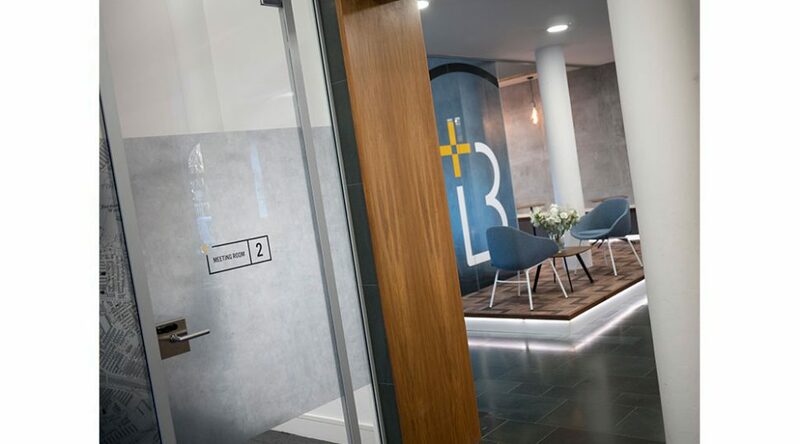 We created vinyl graphics for the entrance door and two meeting rooms. 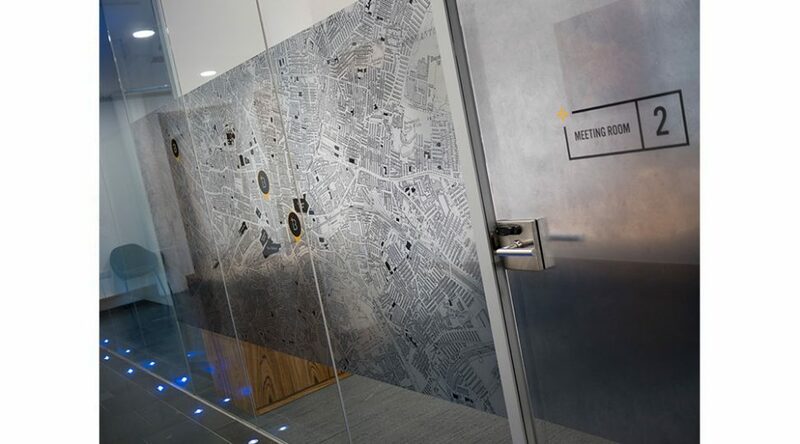 We used a grey printed frost-effect vinyl for the meeting room doors to replicate the grey concrete on the adjacent wall. 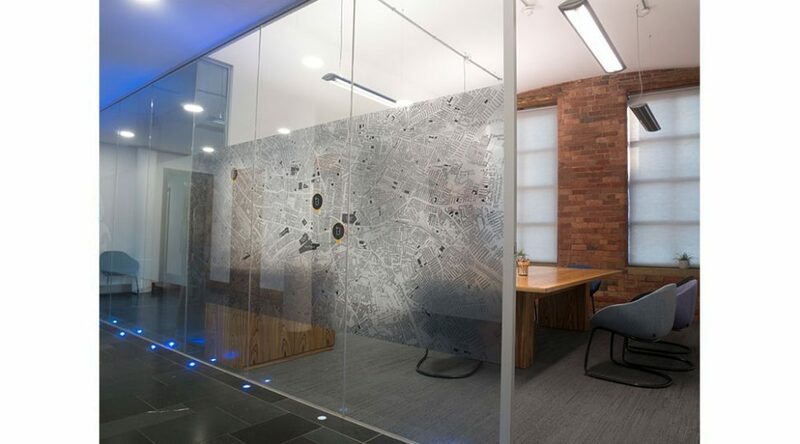 The sleek grey panels are teamed with a black and white map of Leeds, complete with full-colour logos highlighting Bracken’s other locations. 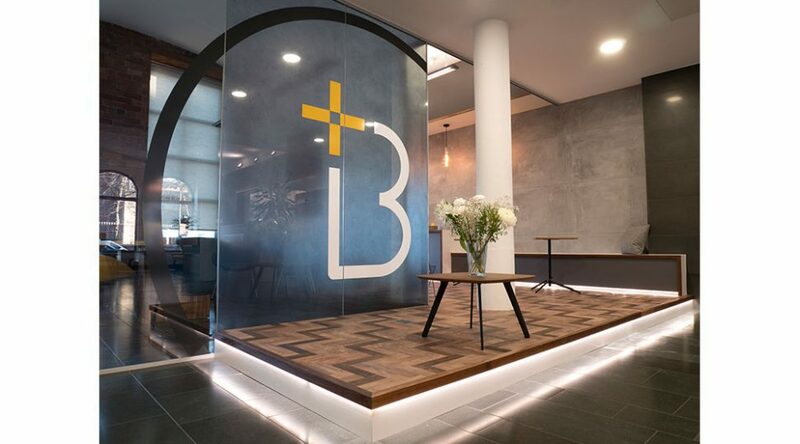 Finally, we produced a large Bracken logo for the glass wall within the communal area. This not only conceals the room behind but also creates an eye-catching focal point. The vinyl is transparent so the colours vary depending on the light levels coming through the windows. The finished space is smart, sleek and fully equipped for its tenants. The subtly branded graphics make the premises clear and simple to navigate. The window vinyl installed will allow light to filter effectively around the building while providing tenants with the privacy they need.